It was a wise decision by Imran Khan to release the Indian pilot Abhinandan. Any delay would have helped BJP warmongers to further inflame public sentiments against Pakistan thus adding to the prevailing tension between the two countries. International pressure would have forced Pakistan to release the pilot sooner than later. This would have provided an opportunity to BJP government to claim that the release had come due to the tough stand taken by PM Modi thus strengthening the BJP’s position in the coming elections. Pakistan can now claim it had released the PoW voluntarily as a gesture of goodwill, thus putting Modi on the back foot. Despite the olive branch offered by Pakistan, the BJP government is in no mood to de-escalate the tension by holding talks with Pakistan. The reason behind the intransigence is the coming elections that Modi wants to win by presenting himself as a tough leader capable of being the lord and master of the region. De-escalation however suits the PTI government which cannot otherwise fulfill its election commitments that require diversion of mega resources to social development projects. De-escalation becomes difficult, however, if it goes against the interests of one of the two contenders unless the international community decides to intervene in the interest of world peace. It is important for Pakistan to voluntarily act against the leadership of JeM and JuD before it is pressurized by the major powers to do so. This would deprive PM Modi of all excuses to refuse to hold talks with Pakistan. 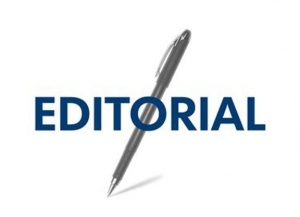 Once the country has rid itself of the historical burden, which has now turned into a liability that is harmful for national interest, it will be in a better position to support the Kashmiris’ freedom struggle both morally and politically. With the Indian atrocities in Kashmir having crossed all limits, more and more Kashmiri young men are turning into militants. There is therefore a likelihood of several Pulwama like incidents taking place in days to come. With Pakistan having unraveled the entire structure of terrorism on its soil, it will be in a better position to convince the world about the need to rein in the Indian state terrorism.